This website is here to provide you with information about the SC ACS chapter. We are your local connection to the American College of Surgeons. We encourage you to explore our website and see what the SC ACS can offer you. Please feel free to offer suggestions on how we can help you improve the practice of surgery here in SC. The 2019 Joint Annual Meeting is scheduled for the July 19-21, 2019. We are delighted to return to Pinehurst, North Carolina, and stay once again at the Pinehurst Resort. The event will be packed full of opportunities for Continuing Medical Education, networking, and advancing the future of medicine in a relaxing, enjoyable setting. The South Carolina Chapter, ACS would like to invite you to become a member! 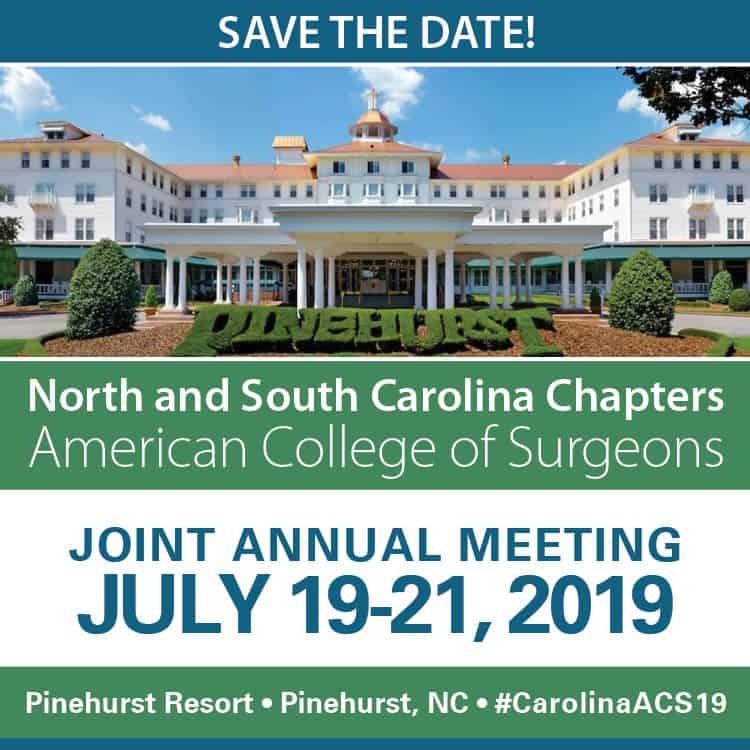 It’s your membership that will continue to let the Chapter focus on important issues facing South Carolina surgeons. Find information and links to upcoming Annual Meetings and the ACS Clinical Congress.